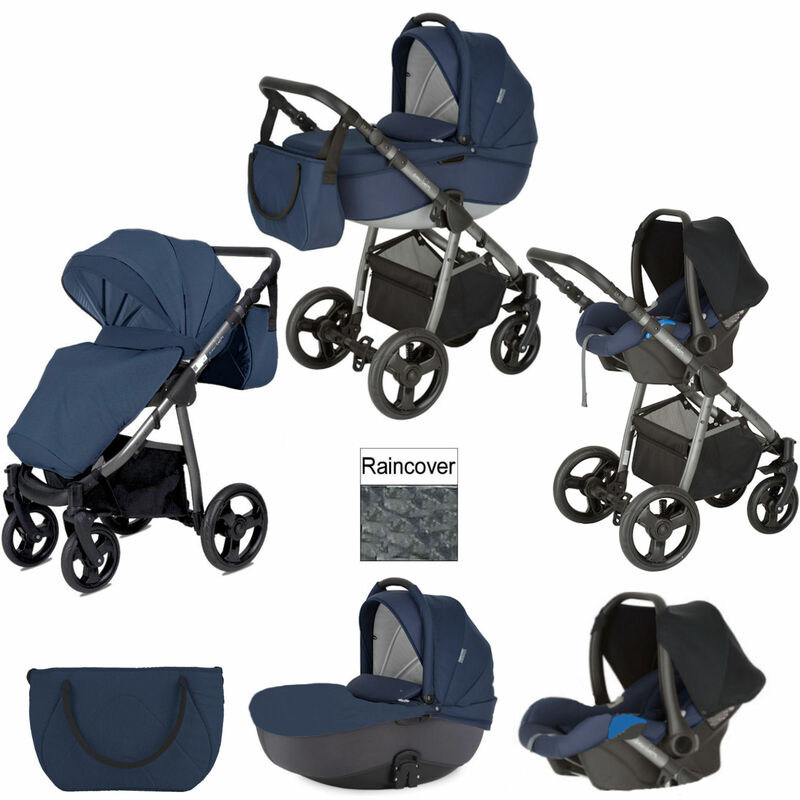 With a fully loaded package which includes pushchair, carrycot, car seat, changing bag, footmuff and raincover, you’ll be all set and ready to roll with the Stride Travel System from Mini Uno. 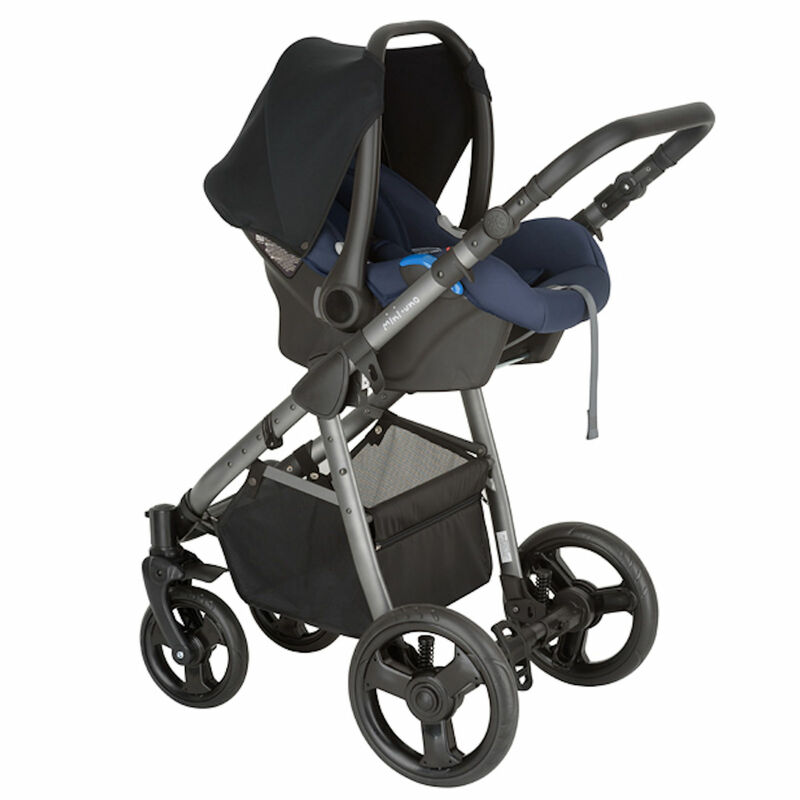 This top quality travel system offers suitability from birth and features an ‘easy lock-in system’ which provides easily interchangeable components (seat unit, carrycot, car seat) which can all be secured to the the beautiful aluminium chassis. 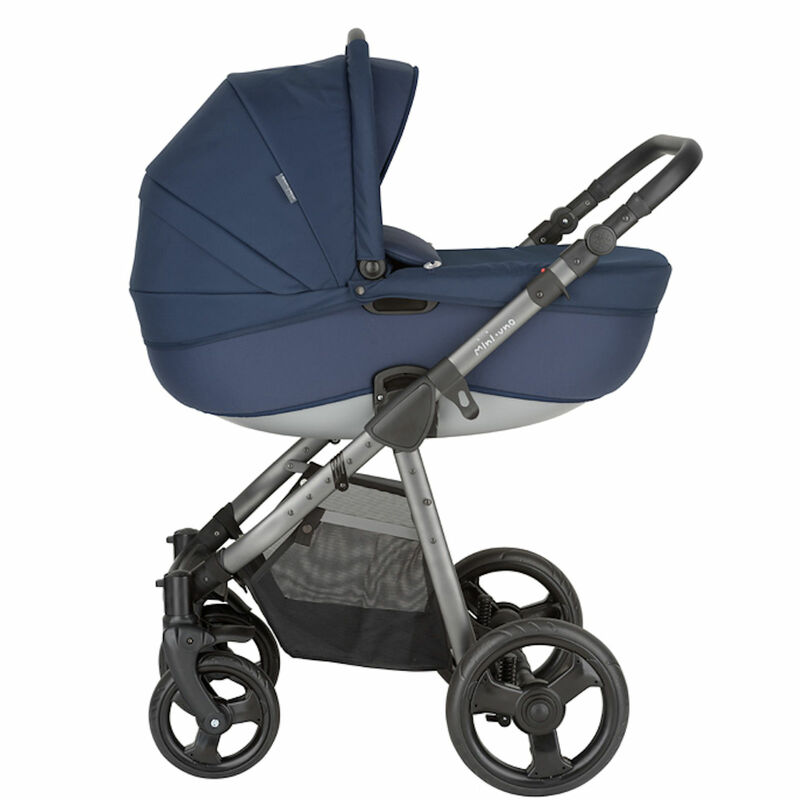 With the attachment of the carrycot, you can create a wonderful lie-flat pram for your little one. 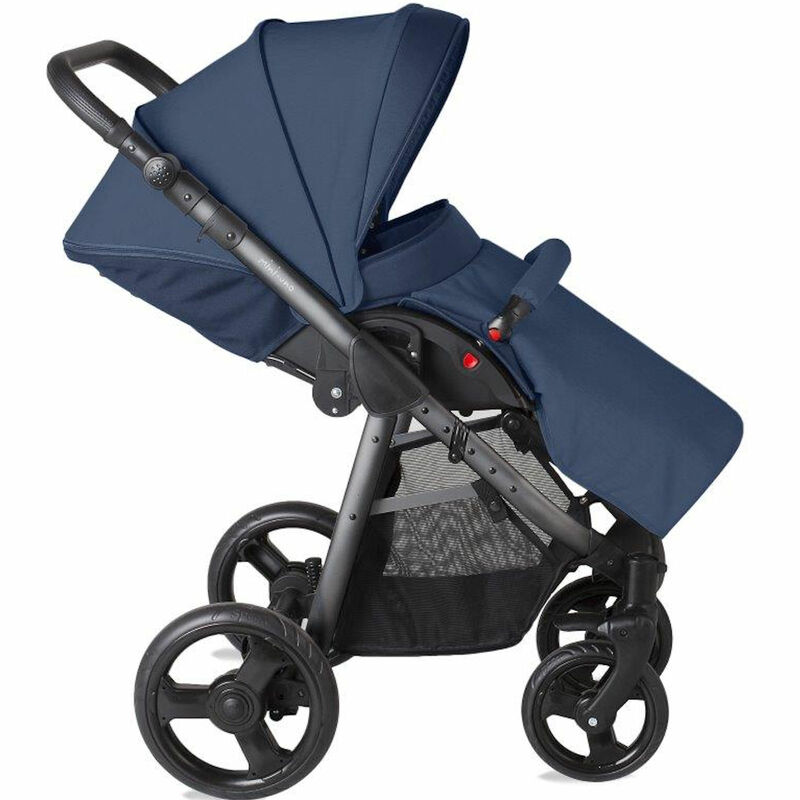 Due to the clever design and its impressive ventilation and breathability, the carrycot is suitable for occasional overnight sleeping which is great for short trips away. The inclusion of the 0+ car seat means that it is no longer necessary to wake baby up when transferring them from vehicle to stroller (and vice versa). The car seat includes a wedged insert for newborns (and smaller babies) and a handy soothing rocking function when not connected to the chassis. 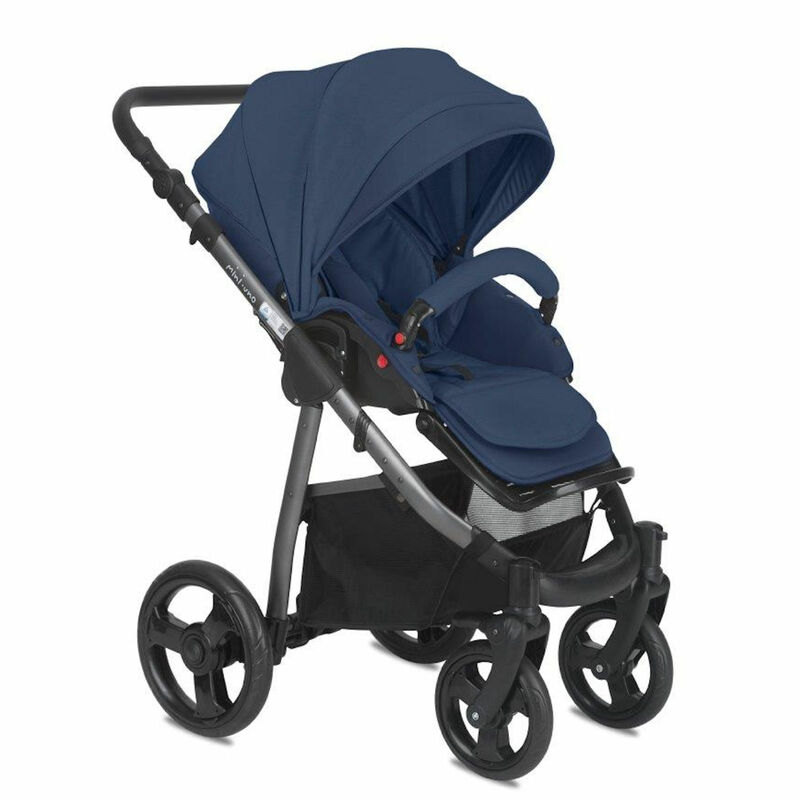 For the parent, the Strive’s handle is made from a luxurious eco-leather fabric and a large shopping basket is also included for your convenience.